I love stir fries— they are easy to make, and always delicious. 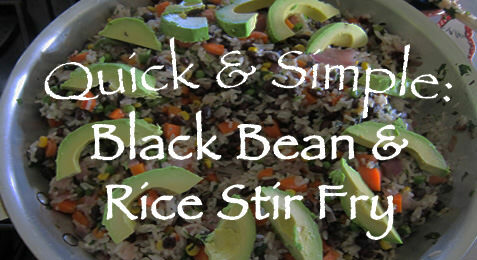 This concoction is loaded with vegetables, rice, and black beans. I added lime juice and sliced avocado which turned a seemingly ordinary stir fry into this new and exciting dish!